Of all the coming-of-age milestones my 2.5-year-old son has already passed through, none has impacted me quite as much as his first haircut. That first shearing, the transformation of the hair on his head from disordered to ordered, wild to tame, left me, to tell you the truth, despondent. So unsure was I of the decision to have his hair cut, even after it was done, that I rejected the lock of hair offered to us by our chatty Armenian barber. The haircut had happened, but I wasn’t quite ready to make it count, to ritualize the act. I was prepared for such a reaction — I had held off on the first haircut until my son was a few months past 2 years old. I hadn’t exactly planned on putting it off until then; more so it was just that on some gut level, cutting his hair never felt quite right. I still felt this way on the day we took him to the barber, but, truth be told, I succumbed to peer pressure. And aesthetics. His hair was no mob of soft curls, or silky locks running down his nape; it was a highly uneven mullet. People were asking questions. I had no defense. “And when ye shall come into the land, and shall have planted all manner of trees for food, then ye shall count the fruit thereof as forbidden; three years shall it be as forbidden unto you; it shall not be eaten.” Leviticus 19:23. This is the passage from the Torah used to explain the Jewish custom of upsherin, or the practice of not cutting a boy’s hair until the child is 3. Traditional Jews make a big to-do over the first haircut: Friends and family are invited over and handed a pair of scissors, and the first snip is done at the front of the head, where the boy will one day place his tefillin. There are blessings, and the first introduction of the Aleph-Bet. Some drip honey over the letters and allow their sons to lick it off as they say each one. May the Torah be sweet on his tongue. I was aware of upsherin before the haircut, but it was definitely outside the realm of Jewish traditions in which I feel obligated to take part. Rich in poetics but lacking in logic, I had little at my fingertips to convince others, and frankly even myself, that this was a custom we had to observe. And so I caved and agreed, one Sunday morning, to accompany my husband and son to the local barber. It was only once my son was shorn, and I was left with a strange devastation, that I began to ponder the potency of hair, both within Jewish culture and without. Muslims, Hindus and the Chinese all have specific rituals connected to the first haircut, and many of even the most secular Americans save a lock from that first trip to the barber. Of course, for the highly observant in a number of faiths, adults are also subject to a number of rules. Buddhist monks are commanded to shave their heads, Catholic nuns and Jewish and Muslim women to cover theirs, and Jewish men to maintain long side locks, or peyes, and beards. Hair is a way for the pious to manifest their internal discipline to the outside world. Hair is a symbol of our vitality, our unbridled life force, the urges and tempers that we’re born with and, if we manage to mature properly, learn how to tame as we grow up. In Freudian terms, hair is the id, and haircuts, or hair coverings, are the super ego, or a “successful instance of identification with the parental agency,” as Freud wrote. What devastated me about my son’s haircut, I came to realize, is this imposition of a superego before my id-filled beast was truly ready. We do this a lot to kids these days. Terrified of their internal wildness, we rush them through to adulthood, desperate to ensure that they will be both at the top of their class and wearing the right shoes. Not cutting my son’s hair was a tiny attempt to raise him in the spirit of Jean-Jacques Rousseau’s Emile, a “natural man” uncorrupted by society. That lopsided mullet was me embracing his glorious wildness, right here in Brooklyn Heights. My tree wasn’t ready; he needed time. I requested that the barber keep his hair as long as possible, and he said he would try. Then, with each snip it grew shorter and shorter, and he kept shrugging and telling me how uneven it was. My son left with a crew cut. “This is best. It will come back nice and full and even,” the barber said. “It will come back.” Those words comforted me, if not exactly in the way he intended. I would get a second chance. I could let it grow out again. I could wait until his third birthday. I could say a blessing for a ritual that still carries no logic for me but speaks to my id, that wildness in me that the birth of my son woke up and that, for his sake, deserves to be heard. 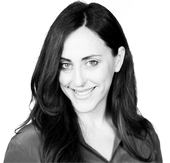 Elissa Strauss is a contributing editor to the Forward. This story "With That Very First Cut, the Child Is Tamed" was written by Elissa Strauss. Elissa Strauss has written for the Forward over a number of years. She is a regular contributor to CNN, whose work has been published in a number of publications including The New York Times, Glamour, ELLE, and Longreads.